KeepVid is an online video downloader allowing you to download videos from YouTube, Metacafe, Dailymotion, Vimeo, and other sites. You can simply copy and paste the video URL to KeepVid to download the video. However, KeepVid is for PC only. Actually KeepVid uses Java to capture the videos and genreate download links, which requires Microsoft.Net. So KeepVid for Mac is impossible, including Mac OS X 10.13 High Sierra, 10.12 macOS Sierra, 10.11 El Capitan and 10.10 Yosemite. Luckily, there is KeepVid for Mac alternative available. Read on and learn more. iTube Studio Best Video Downloader is the best KeepVid for Mac alternative solution, which includes all the functions of KeepVid but batter than KeepVid. You can use it to download videos from YouTube, Vimeo, VEVO, Facebook and other 10,000+ sites in 1 click. 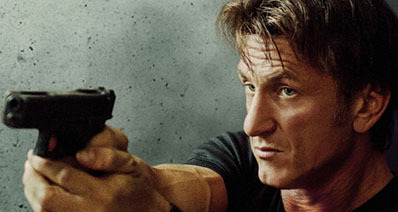 You also download YouTube and other videos to MP3 with one click. This KeepVid equivalent to Mac (macOS High Sierra, Sierra and EL Capitan) also enables you to convert the downloaded videos or existing desktop videos to many popular formats like MOV, MP4, MKV, AVI, WMV, and more. And you can directly convert video to device compatible format with the preset profiles, all popular devices are supported, including iPhone, iPod, iPad, Samsung, PSP, Xbox and other portable devices. It's ad-free and downloads videos from 10, 000+ sites, compared to KeepVid limited supported. Download HQ, HD and 4K UHD videos by click from all popular video sites in batches. 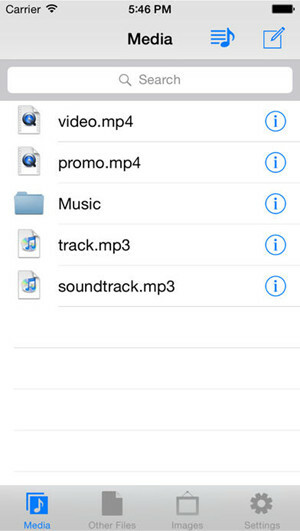 Directly save MP3 from YouTube videos to your Mac with high quality. One click to download the entire YouTube playlists or YouTube channels. Convert both downloaded and existing videos to play on devices offline. An all-in one program that integrates video downloader, video converter and video transfer. 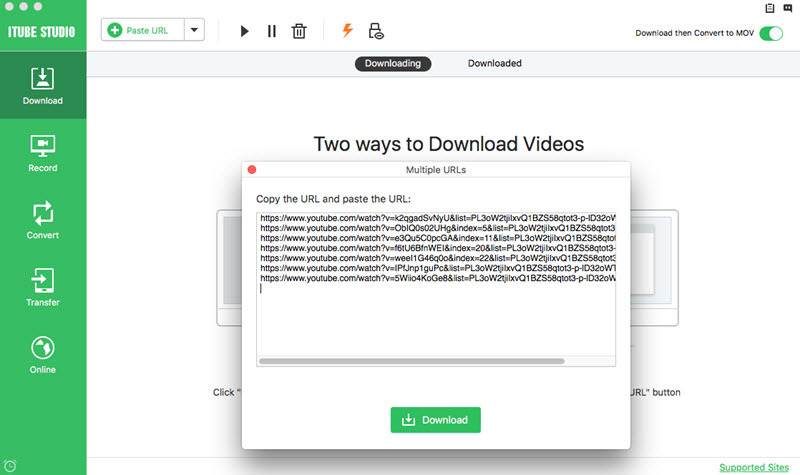 Not just copy-paste URL method as KeepVid, but also instantly download video with the "Download" button. Private Mode to download videos in secret with a password set to protect your privacy. The below step-by-step tutorial will show you how to download and convert online videos by using this KeepVid alternative for Mac (macOS High Sierra, Sierra and EL Capitan). I'll take YouTube for example, but this KeepVid for Mac downloads videos from other sites similarly. After you download the program on your Mac macOS High Sierra, Sierra included, you can open the built-in installation instruction, and then follow up the prompts to set up the program. When you finish the installation, the program will launch automatically. Now if you've installed iTube Studio for Mac, you'll see a "Download" button at the top left corner of every YouTube video. Nothing to change on your part. Just watch YouTube videos as normal, and when you want to download a favorite video, click the "Download" button to start the process immediately. Safari, Chrome and Firefox are all supported. You're just one touch away from a huge video library. When you click the Download button, the Keepvid for Mac program will open and the video will be added to the download queue. The multi-thread technology is used to accelerate the download speed. Usually, it's just minutes to download video to your Mac, the better Keepvid Mac equivalent. Besides the download button, you can also drag and drop the URL from browser address bar to the dock icon of this Keepvid for Mac app, or copy the video URL and click the "Paste URL" to start downloading video via URL. 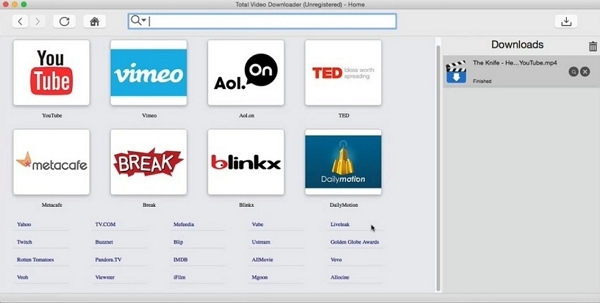 This Keepvid for Mac alternative simplifies video downloading to the most. The downloaded video will be stored in the "Downloaded" tab under the "Download" menu. If you want to convert the video format, you can click the "Add to Convert List" icon to add the videos to the "Convert" menu. And then open the "Convert" menu and click the "Convert" button and a window will appear for you to choose output format from. After choosing a video/audio format or a device format, click "OK" to start conversion. Before converting, it's a good idea to play the video by double clicking it, making sure it's exactly the video you want. Except the iTube Studio -the best Keepvid alternative for Mac , Luckily, there is unlimited software available on the internet which is affordable and could meet your different needs. 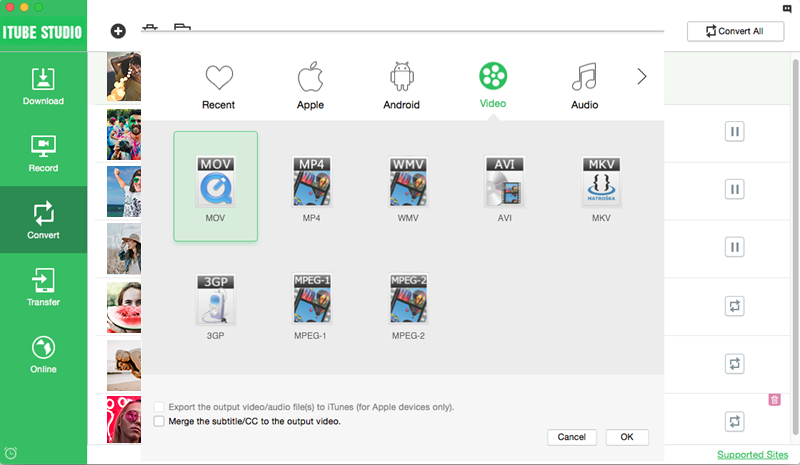 We have gathered another list of 8 Keepvid alternative for Mac that would meet your needs of a vide downloading utility tool. As a good alternative to KeepVid video downloader, this software is a super smart tool and offers two different downloading modes. 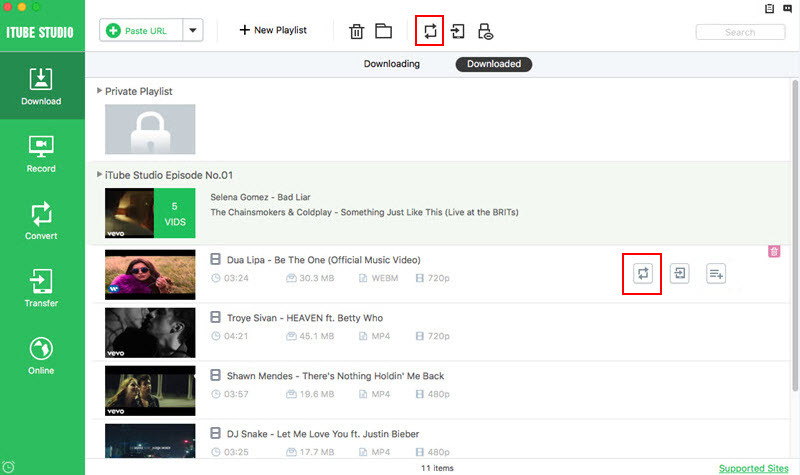 The Simple mode allows fast and convenient downloading of videos from URL and can extract audios from video directly. The Advanced mode offers 4 tabs for different downloading options. You can also integrate the tool within the browser to ease up the downloading. It will also allow you to bookmark your favorite videos. The software is too good to find a feature that lacks. The Elmedia Player Pro is like the best video downloading the program for Mac OS. It can be used as a player and a downloader at the same time. So, when the users have access to this tool, why they would choose the KeepVid downloader. The app can even download subtitles separately from the video. It can download streaming videos. The software will allow you to have a preview of the files directly from the URL. The In-App browser interface is not up to expectations. As an alternative for KeepVid Mac, 4K Video Downloader is far better software. This program can download both audio and video files from YouTube, Vimeo, SoundCloud, Dailymotion, and many other websites. As the name signifies, the software can download videos in 4K resolution and all other smaller resolutions. It can also be used to download 3D videos. This program also has an In-app Proxy setup. It has an easy and fast downloading process. The software lacks preset for some devices. It doesn’t offer playback features. 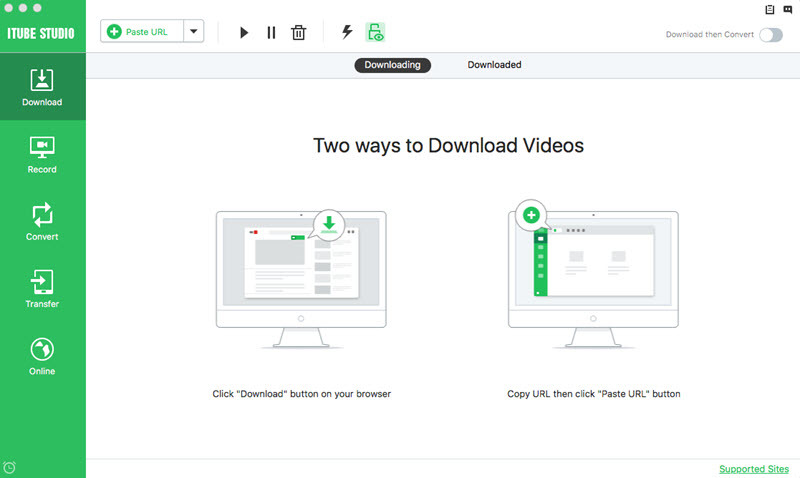 Instead of downloading KeepVid on your Mac, you could download Total Video Downloader. As the name suggests, the software can download videos in any quality, any format and from multiple resources. Just copy and paste the link and you will get a pop-up to download the video automatically. It can download videos from multiple online Video Sources. The downloading of videos is very fast. The software won’t allow you to convert the format of the video once it is downloaded. It doesn’t have any optimization available after download. 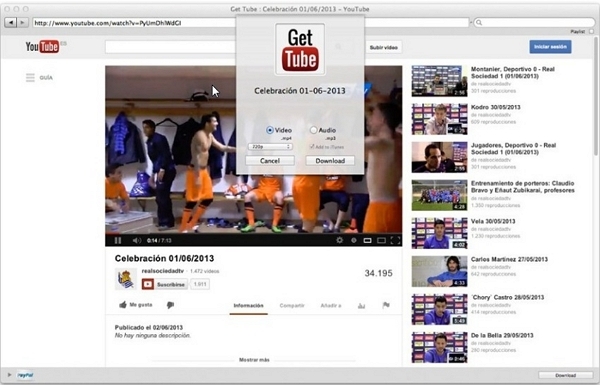 Get Tube is specially developed for the sole purpose to allow the Mac users to download YouTube videos. But with upgrades, the downloading was extended to various other websites. 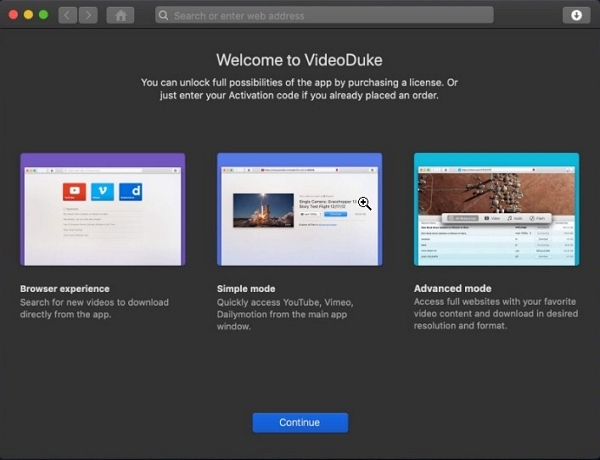 Just as the KeepVid chrome add-on, this Keepvid for Mac alternative application can’t be integrated with the browser. 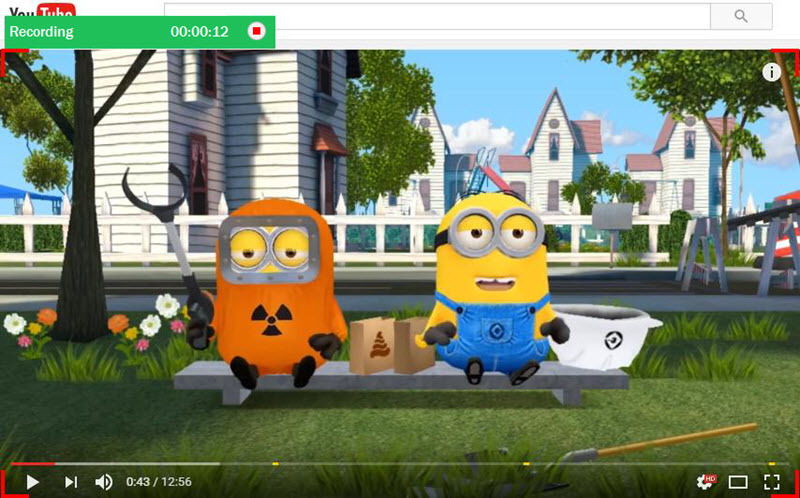 It is an individual app, so you will need to click on the video to download it. The application program offers a wide array of video formats. You can download multiple files simultaneously. The program gives an error message for downloading unexpectedly. For the users who don’t want to use the KeepVid video downloader, the YTD video downloader can be used in its place. It is a very popular video downloading app and has supports for various other websites too. With the help of this tool, you can also convert the formats of the video for various devices. The video and audio format support is quite impressive. The program has a video player integrated within. The updates will frustrate you as a new update comes every week. 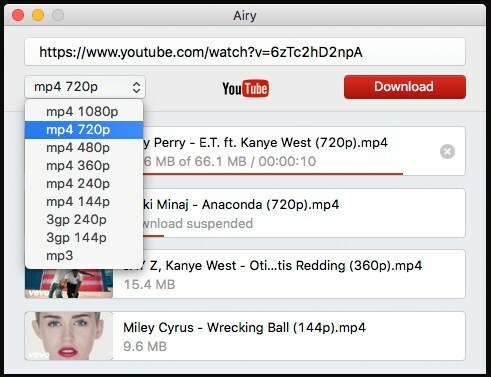 If you are not in the favor of using KeepVid video downloader for YouTube videos, then you can consider using Airy HD downloader. You can download videos in any format; extract MP3 from videos and save an entire playlist and channel with the help of this tool. Plus, you will be getting the best quality videos up to 8K. You can also integrate this program into your Mac browsers. It will allow you to link your video to Google Account for protection. The pause and resume download feature doesn’t work all the time. When it comes to KeepVid alternative, then there is no other better tool than MediaHuman YouTube Downloader. The software not only allows you to download videos from YouTube but also other video hosting websites. 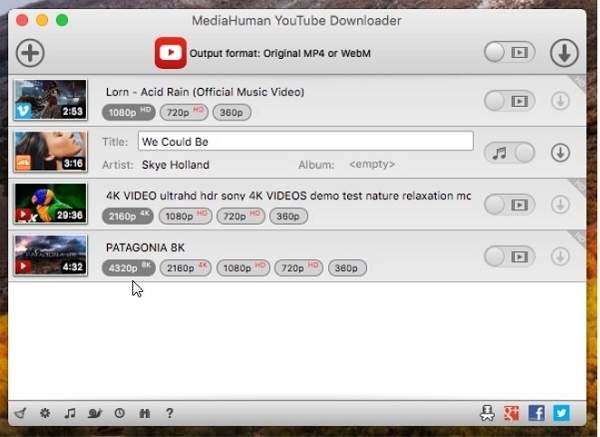 If you want to download multiple videos at once in ultra HD quality, then MediaHuman is the tool for you. 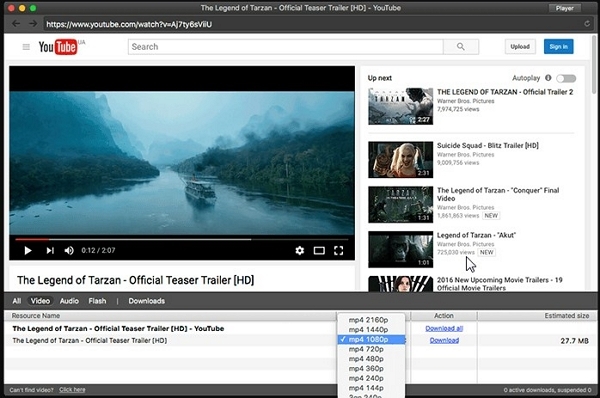 The software supports downloading video up to 4K and 8K. The program can extract audio from videos. No one has reported any issue with this software. KeepVid requires Java plugins in order to fetch YouTube videos or generate download links on Mac. If there is java breakdown, you’ll get no response or nothing happens when you press the "Download" button. To get rid of the problem, you need to install Java and enable it. -Go to Preferences on the browser. -On the Security button check the "Enable Java" option. 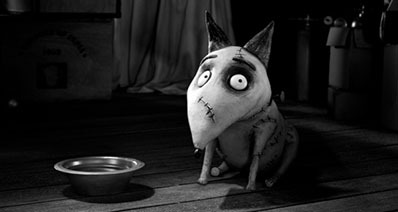 -Go to the search field and enter "about:plugins". -if you find the "Disable" link, it means Java is already enabled. -Pick "allow applications to be downloaded from" option. KeepVid not working on Mac can also be caused when the downloader is down. That might be due to DDoS attacks, temporary server maintenance, temporary website downtime, and power outage among others. -Clear temporary cookies and cache on your browser. -Refresh KeepVid by pressing Ctrl and F5. -Disable any recently installed add-ons or plug-ins. Ads buttons that play around the download button can also interrupt the video download process when using KeepVid. To avoid that, be sure you spot and click on the video "Download” button before anything else. Sometimes KeeVid might stop working on Mac due to slow or bad internet connection. Be sure to check on your internet bandwidth when you experience video download problems.